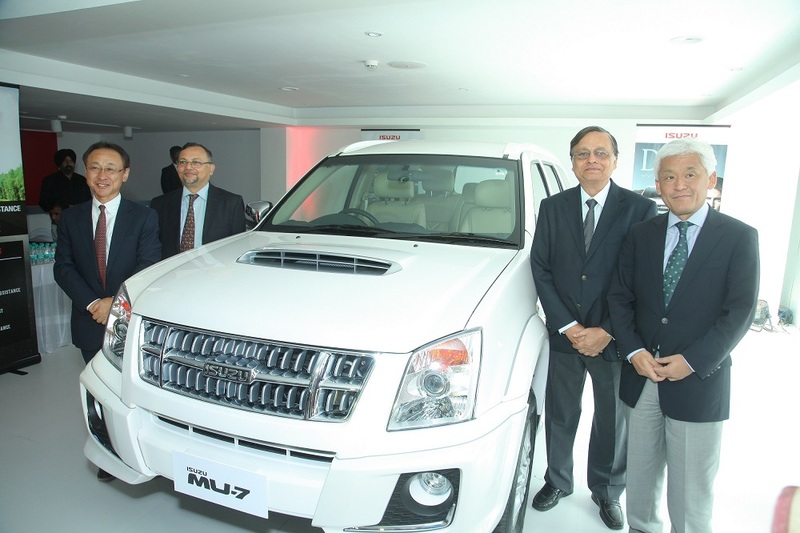 Isuzu will soon launch the new MU-X SUV in India on May 11, 2017. 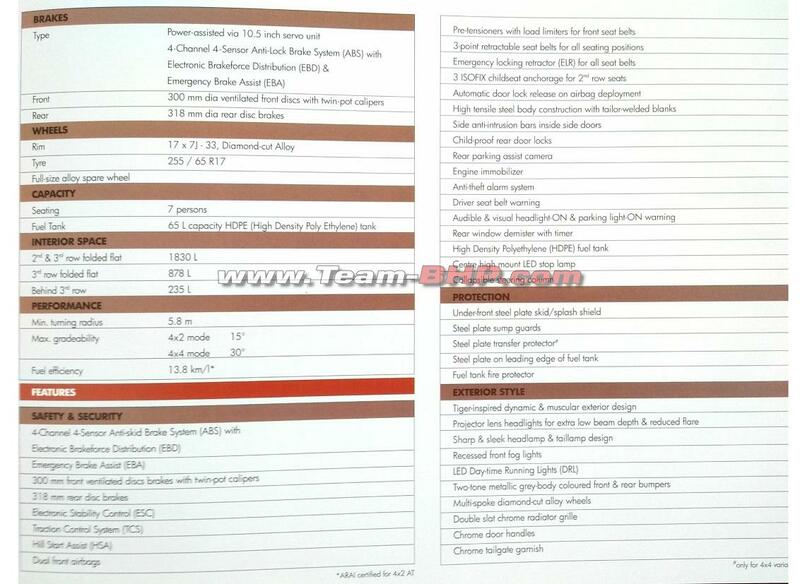 Just ahead of the SUV’s launch, its brochure has been leaked, which reveals all details about the upcoming SUV. 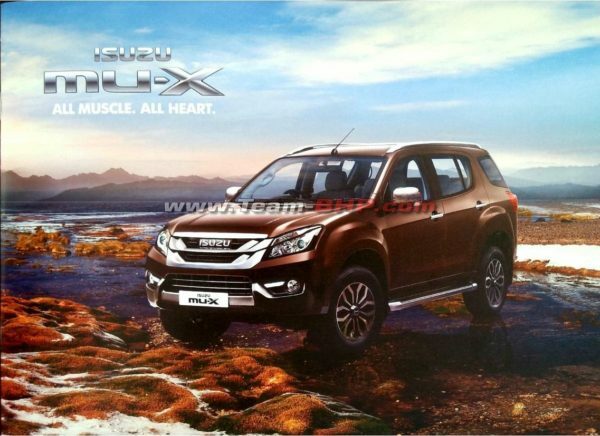 The Isuzu MU-X to be launched in India will be powered by a 3.0-litre turbo diesel engine that will develop maxt 174 BHP @ 3,600 rpm and 380 Nm of torque @ 1,800 – 2,800 rpm. 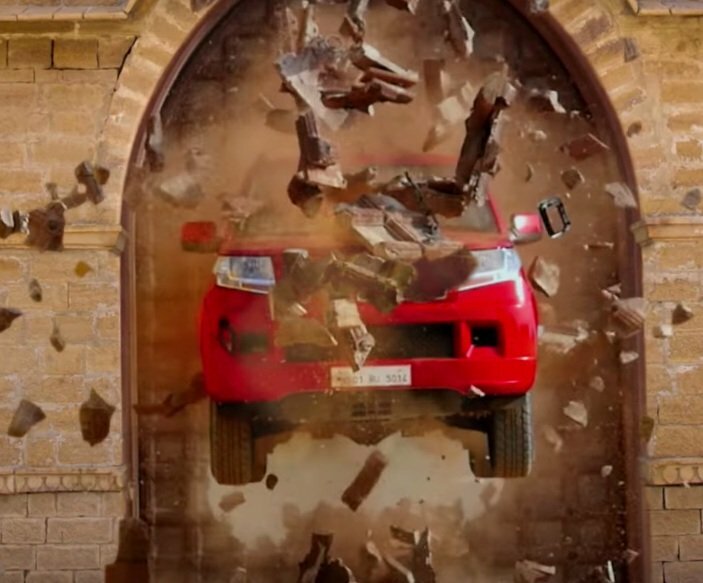 The engine will be mated to a 5-speed sequential shift automatic gearbox and will come with a 4×4 drivetrain with terrain command control with ‘shift on the fly’ 4×4 select dial. Isuzu claims the MU-X SUV will deliver a fuel economy of 13.8 km/l which is quite high for a 3.0 litre diesel automatic SUV. The SUV will also be equipped with disc brakes on all four wheels, and will be equipped 255/65 profile tyres riding on 17-inch alloy wheels. The MU-X will come with long feature list which comprise of projector headlamps, LED DRLs, 6-way power adjustable driver seat, automatic climate control, keyless entry and start system, cruise control, 7-inch infotainment system with 8 speakers and a roof mounted 10-inch DVD entertainment monitor. Interiors are dual tone ivory-grey with soft leather upholstery, leather wrapped steering wheel and Piano black finish on the centre console, blower vents, gear shift bezel and side door trims. 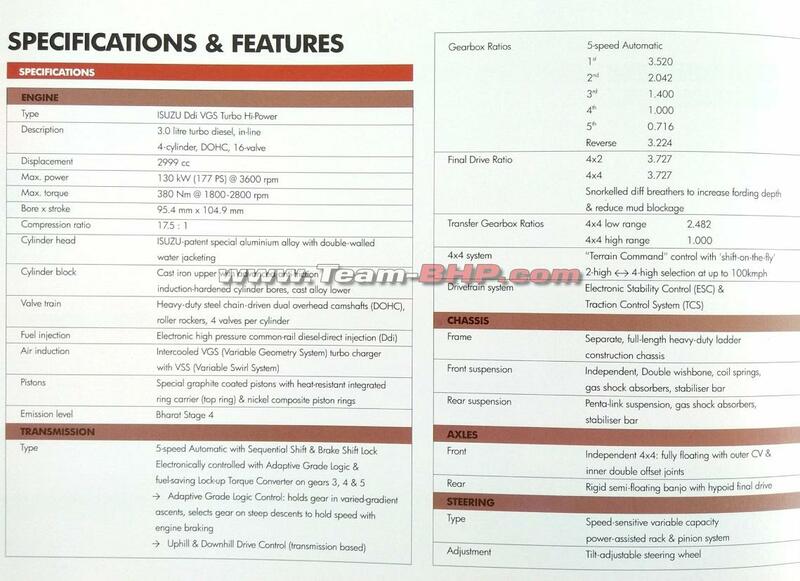 Like rivals the SUV will offer 7 seat configuration. 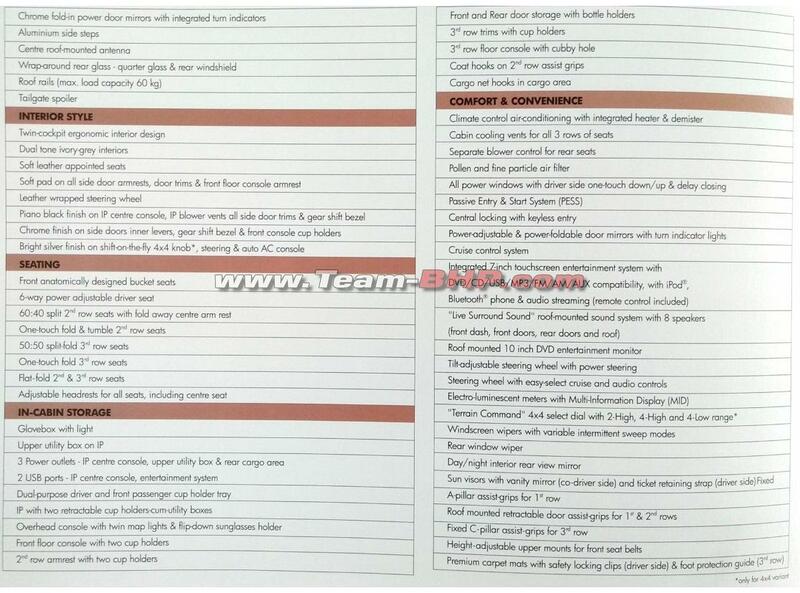 In terms of safety the SUV comes with anti-lock braking system (ABS), electronic brake force distribution (EBD), brake assist, electronic stability control (ESC), traction control system (TCS), hill start assist (HSA), dual front airbags and pre-tensioners with load limiters for the front seats. There are four colour options – Silky White Pearl, Orchid Brown Mica, Cosmic Black Mica and Titanium Silver Metallic. 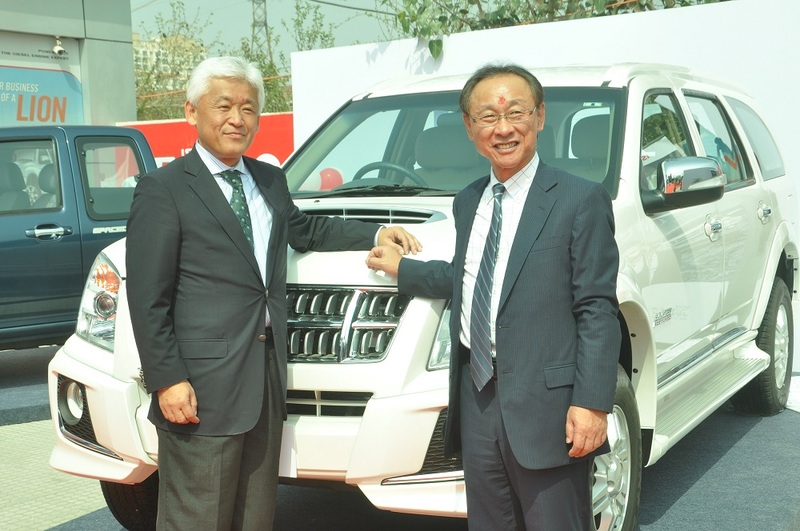 Isuzu will also be offering a standard warranty of 3 years / 1,00,000 km. 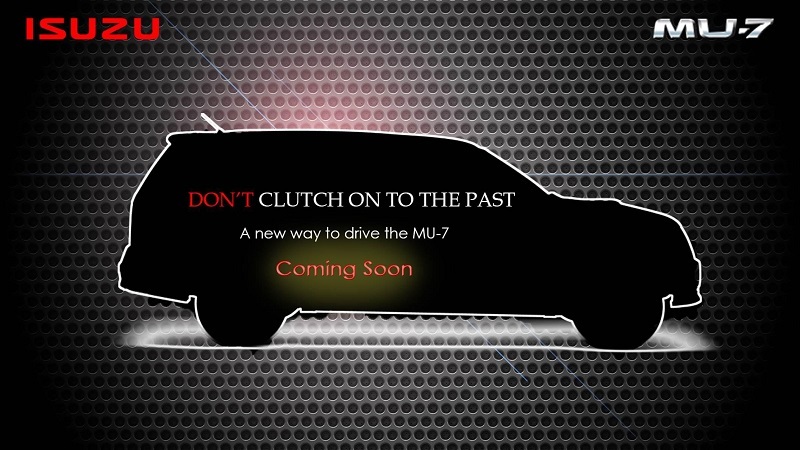 The MU-X will compete with the likes of Toyota Fortuner, Ford Endeavour, Mitsubishi Pajero Sport and Hyundai Santa Fe. The SUV will get more competition with the launch of Volkswagen Tiguan and SKODA Kodiaq.